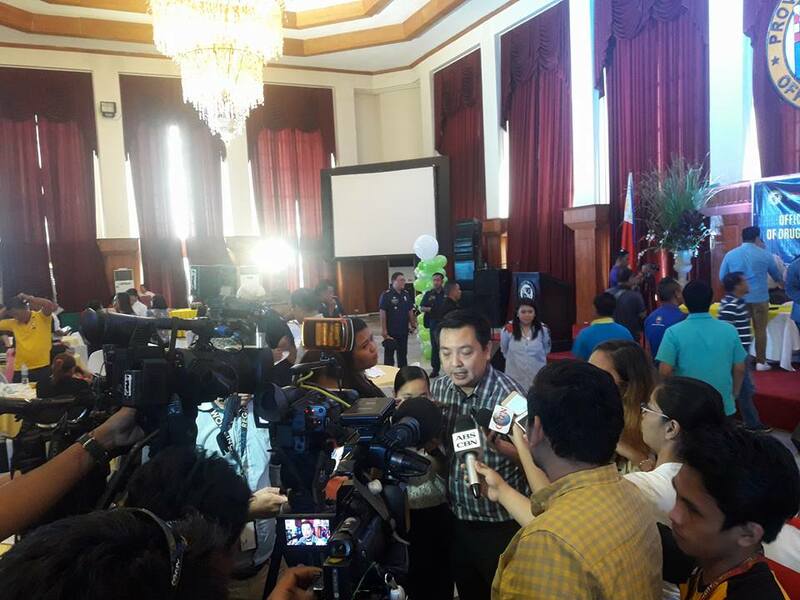 The City of Bogo was declared first drug-free city in Central Visayas. 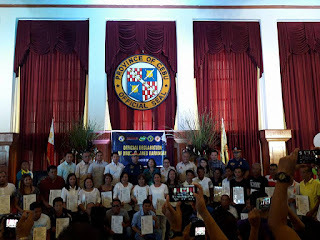 Philippine Drug Enforcement Agency 7 Regional Director Yogi Filemon Ruiz personally distributed the certificates to each of the 29 barangays of the City of Bogo who all obtained drug-cleared status during the ceremony conducted at the Cebu Provincial Capitol on July 20, 2017. During the ceremony, at least 11 barangays in the neighboring San Remigio town also received their Certificate of Drug Cleared Barangay which now make the total number of drug-free barangays in Cebu to 160 while all other 1,066 are still affected by illegal drugs. The declaration of a drug free barangay is a long process, the Oversight Committee on Barangay Drug Clearing Operation of PDEA 7 has to follow a lot of validation protocols and processes. Ruiz expressed hope that more villages will be declared drug-free. "There are those who fail to meet the requirements, maybe because of the failure to exert more efforts in the intensified campaign illegal drugs. And maybe they never do anything about the drug problem in their communities. But there are some who had complied, and will comply,” he said. City of Bogo Mayor Atty Carlo Jose Martinez said that there is no secret formula for making an entire city be declared drug cleared. It only takes team work and contribution from all sectors in the community. He said that even students in the community based drug rehabilitation program can be warriors against illegal drugs by simply spreading the word on the menace brought by it (illegal drugs). Also present during the ceremonial declaration were the officials of the declared drug-free barangays, Bogo Police Station Chief PSupt. Byron F. Allatog, Mayor Mariano Martinez of San Remigio, Gov. Hilario Davide III, Vice Gov. Agnes Magpale, Cebu Anti Drug Abuse Office head Carmen Remedios Durano Meca, DILG Central Visayas Head Rene Burdeos and PRO-7 director Chief Supt. Jose Mario Espino. I was taking a gander at some of your posts on this site and I consider this site is truly informative! Keep setting up..